Triple-Guard® is a tough grease that stays in place and is unaffected by vibration, saltwater, or cold temperatures. 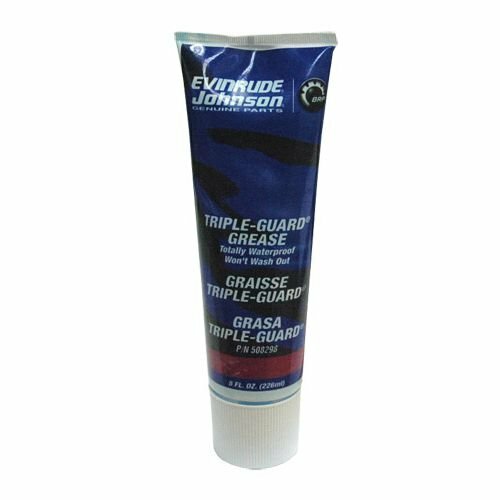 Triple-GuardÂ is a tough grease that stays in place and is unaffected by vibration, saltwater, or cold temperatures. If you have any questions about this product by Johnson Evinrude OMC, contact us by completing and submitting the form below. If you are looking for a specif part number, please include it with your message.